Chamfer Hobs | Hob Manufacturers & Exporters in India | Steelmans Hobs Unit. 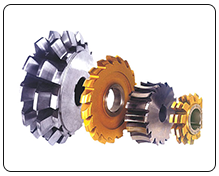 Chamfer Hobs are generally used for chamfering of entering end of ring gears. These are available in various types as per drawing of components.